Pain experienced anywhere in the body is not fun. Pain, however relative, affects different people in different ways. What may be excruciating for one may be a walk in the park for another. This is why when medical professionals are assessing pain; we use a 1 to 10 scale because what may be a 6 to me is a three to you. Yet this seems to be one of the toughest self-assessments to make. Characterizing your pain is not easy. There are many words to describe how you are feeling and this makes communicating your pain to your therapist or physician that much more difficult. I hear words like “weird” or “funky” to describe qualities of pain and I hear phrases like “I don’t know, I guess a little” or “not that much” to describe degrees of pain. The following is a helpful set of guidelines to aid you when attempting to describe your condition to a health professional. Numbness– used to describe a tingling feeling such as you may feel when a hand or foot “falls asleep”. Most likely caused by compression of vascular structures or nerves. When this happens, blood supply or nerve conduction is slowed and results in a “pins and needles” feeling. Most of the time, this is felt in the extremities. 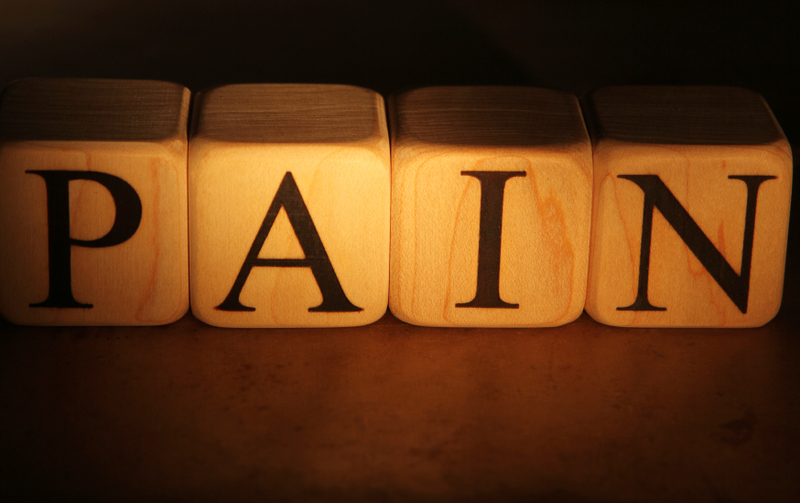 Burning pain– is difficult to quantify because essentially you know it when you feel it. However, most burning pain is attributed to issues to our autonomic nervous system which innervates our organs. Hence burning pain is usually felt deep and diffuse or widespread. Lightning-like– which is the type of pain you might feel in a terminal or peripheral nerve injury. I imagine that this pain is not only sharp but jolting, convulsive. The movie 127 Hours did a magnificent job in characterizing this type of pain when James Franco, playing the hiker who saved his life by cutting off his forearm to free himself from the boulder under which he was trapped. Watch that and when he severs the nerves in his arm, you will get a feel for lightening –like pain. Throbbing– a pulsing type of pain most likely associated with vascular structures as tight muscles may be affecting circulation. Dull/aching- almost always associated with muscle, joint, or ligament pain. This type of pain is generally difficult to localize and usually affects more than one structure. This is the type of pain more often but not exclusively treated by licensed massage therapists. The numbering system is also sometimes challenging to get a grasp of but it is also universal in its application. The Numerical Rating Pain Scale is numbered 0 to 10 and offers the guideline of 0= no pain whatsoever, 1 to 3 is mild pain, 4 to 6 is moderate pain and 7 to 10 being severe pain. Before a treatment is applied the pain number is recorded and again after the treatment is applied. I find it an excellent tool in assessing a treatment plan’s feasibility. The pain is ranked depending on how they subjectively feel. Because pain is subjective, the individual rating of pain is all over the chart. For me, a 1 is an insect bite. I feel it but it does not affect me in a huge way. Bumping my funny bone however, ratchets my pain to a number 3. Stubbing my toe, a 4. Breaking my hand to catch a baseball bare handed, a 6. My wife says I act like a big baby when I am sick so I will quantify the pain associated with nausea and stomach cramps a 7.Whatever your degree or quantity of pain or your quality of pain, knowing how to speak with a health care professional about it is key to understanding and treating it appropriately. Being in tune with your pain and effectively communicating it makes formulating a treatment plan that much easier. Think of it this way, pain is the body’s way of saying it needs help and relief. What better way to answer that need quickly than to articulate that pain.